The provision of an appropriate quantity of viable habitat for reptiles and amphibians is one of the four key steps to achieving favourable conservation status for our herpetofauna species. 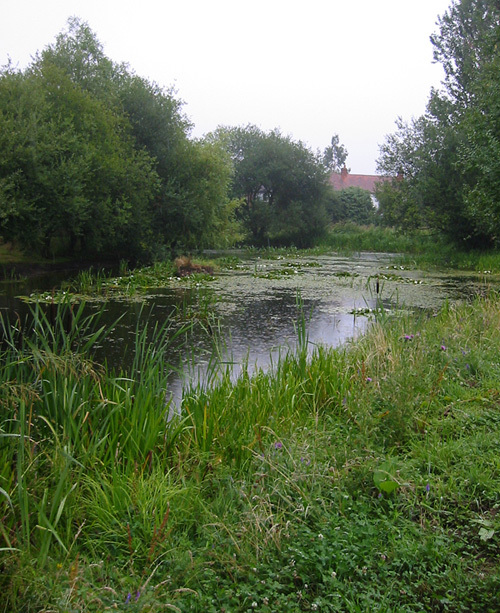 Much of the best habitat for reptiles and amphibians is man-made in origin, such as village ponds and heathland. Without management, these important habitats will be reclaimed by natural forces, rendering them unusable by the animals, leading to a drop in the number of animals within the county. 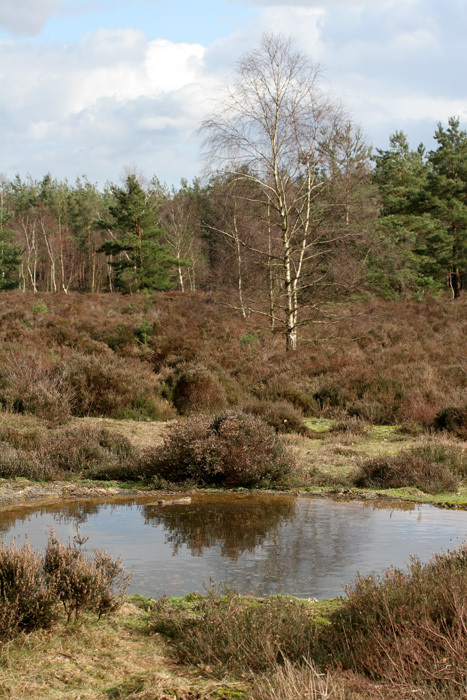 Heathland management mainly involves the removal of invasive plant species that would otherwise shade-out the heath, or produce nutrients in the soil, leading to the eventual death of the heather banks. These problem species are mostly pine and birch trees, although rhododendron bushes are becoming a major problem. Invasive trees are felled using chainsaws, bow-saws or bill-hooks (depending upon the size of the tree), and are burned on site using a carefully controlled bonfire. The heavy work of cutting and transporting the trunks to the fire is not only beneficial to the animals, but provides some well-needed winter exercise for the volunteers, and provides the setting for an enjoyable social experience. Similarly, pond management involves the removal of invasive plant species, and often the removal of refuse (such as shopping trolleys!) that have been thrown into the pond. Families are usually welcome at such tasks as children can help to pull up the seedling pine trees, or search extracted pond vegetation for animals, in an area away from the felling or any dangerous water. Tasks are usually managed by the borough council-appointed countryside ranger for the site, or by conservation organisations such as ARC (The Amphibian and Reptile Conservation Trust). Volunteers are drawn from all walks of life, where the only thing in common is a desire to improve the quality of life for the county's wildlife (and maybe get some enjoyable exercise too!). You do not have to be at the peak of fitness to assist with these tasks, as you can take as many breaks as you require, and if you're not up to any heavy lifting, a good tea-maker is always in demand ! When are the tasks run ? As we want to disturb the animals as little as possible, habitat management tasks are usually run over the winter months, from September to March, when most of the animals are hibernating. You can always check when the next local task is planned by checking the SARG Diary. It is usual for tasks to start at 10:00am, with a lunch-break planned for about 1:00pm. The afternoon session usually begins at 2:00pm and it is rare for the day to finish later than 5:00pm. Individual tasks may have different timings, so check the SARG Diary, or contact the task organiser. Enthusiasm is the best asset ! But, don't forget to bring appropriate clothing for the weather. Warm clothes on a cold winter day are an essential, but wear several layers, so you can discard clothing as you warm up from the activity. Sturdy footwear is necessary, no sandals please! A comfortable pair of gardening gloves will protect manicured hands, and may prevent the odd blister or scratch. If you intend to stay for the whole day (or think you might) then bring a packed lunch. Something to drink is a sensible idea, and a thermos of hot tea can revive the spirit (although there are sometimes tea-making facilities). All of the required tools will be supplied at the site on the day of the task. Third party insurance is provided by the organiser. "Taking a break", habitat management work party at Crooksbury Common.